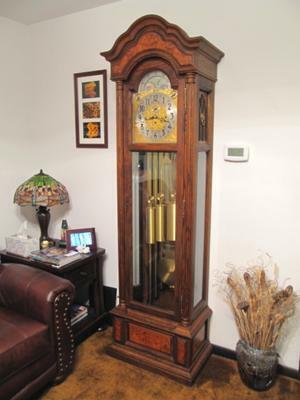 I recently purchased from a local clock/repair shop a grandfather clock. It has a Herschede 9 tube movement installed in a Craft Products Co. kit case. The movement has been professionally cleaned and oiled, the movement keeps accurate time, and the dial, brass and case are in excellent condition. 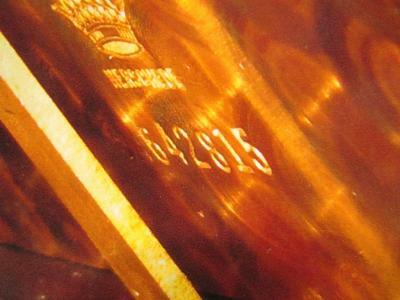 The Herschede serial number on the back plate is 642815. I believe the case kit and movement were manufactured in 1984. The case kit model was the "Wellington" and it is made of oak hardwood with a dark walnut finish and has Carpathian Elm burl Overlays and has beleved glass. The kit builder did a very professional job building and finishing the case. It is 83.25 inchs tall and looks similar to the Herschede Sheffield model 230 and the Christopher Columbus model 106. Comments for My recently purchased Herschede grandfather clock. 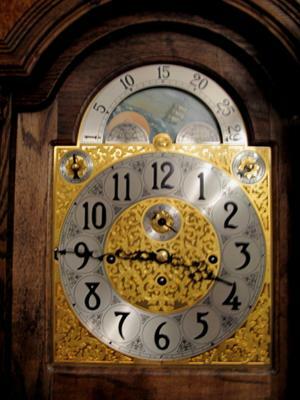 I have the same exact clock that i purchased from a estate auction' but missing the pendlum what would this be worth?